TRAI on Tuesday cut call termination charges from mobile to mobile by over half to 6 paise per minute effective from October 1. The telecom regulator, which sent the industry into a tizzy with its decision to slash interconnection usage charges (IUC), justified the move by saying it "will result in direct benefit to customers". Contradicting this claim, industry experts said that, given the current scenario in the sector, there will be no such direct benefit to end users. "The IUC termination charge cut is not expected to provide any direct benefit to end customers. In the current hyper-competitive situation, most tariff packages already offer free voice calls," Arpita Pal Agrawal, Partner and Leader, Telecom Industry practice, PricewaterhouseCoopers India, told IANS. 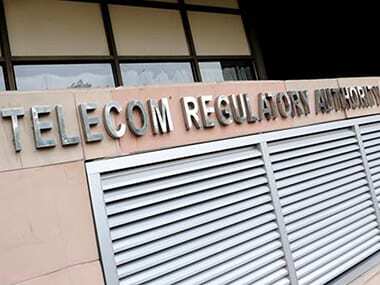 The Telecom Regulatory Authority of India (TRAI) on Tuesday cut call termination charges from mobile to mobile by over half to 6 paise per minute effective from October 1. The sector regulator also plans to phase out IUC by January 1, 2020. "The elimination of IUC will result in direct benefit to customers through lower tariffs," TRAI said. Domestic termination charges are the charges payable by a telecom service provider (TSP) whose subscriber originates the call, to the TSP in whose network the call terminates. Agrawal explained: "The IUC is a cost that a telco pays to another telco for terminating off-net calls. Even with the prevailing termination charge of 14 paise per minute, telcos are offering free voice calls so no further direct benefitS are expected to accrue to customers in the short term. On the contrary, this reduction would increase financial stress for the incumbents and could hamper future investments." Similar views were expressed by Rishi Tejpal, Principal Research Analyst for Telecom Business Strategy at Gartner. "Almost all the operators are offering free calls. Given the present scenario of the industry, I doubt whether it will be passed on to the end customers," Tejpal told IANS. "Certainly, this IUC cut will have an impact on the balance sheets of the telecom companies. As it is, revenues of telecom companies are in danger. They are suffering quarter-on-quarter. With the IUC cut, they will suffer more; pressure on balance sheets will go up and to overcome it they may increase tariff," he added. The prevailing IUC regulation was notified on February 23, 2015, and came into effect from March 1, 2015. At present the telecom companies pay 14 paise as call termination charges. "The latest directive from TRAI bringing down IUC is yet another stressful thing to happen to the telecom sector in India. 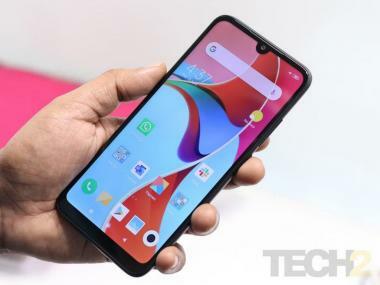 The operators won't be able to pass on the benefit to the consumers and one should not expect call charges to go down further," said Faisal Kawoosa, Principal Analyst Telecommunications and ESDM, CyberMedia Research. "The reduction of IUC is going to adversely hit the investments and ROI (return on investment) on the existing infrastructure investments of operators at a time when revenues are colliding (collapsing) because of the disruptions in the market from techno-commercial perspectives," he added.